For an "adventure," Theresa and I traveled to Pueblo/Colorado Springs. This meant new territory, I was interested in Theresa's recollections of the the river walk in Pueblo and Colorado Springs' historic areas. We visited the Manitou Springs Cliff Dwellings, Cave of the Winds, and a walkable area. In Pueblo we visited the river walk, the air museum, and stayed in a franchise called the Microtel. Spoiler Alert: they called it that because it was so compact. In Colorado Springs we also visited our newest favorite restaurant: Santana's Vegan Grill. It was incredible. During our stay in Pueblo, Theresa and I drove up to Colorado Springs for a day. This included a visit to the Manitou Springs Cliff Dwellings. On July 27, 2018, the owner of Mooney Mustang N7727M graciously delivered his aircraft to the Mid-America Air Museum. Besides being an interesting and sharp-looking plane, the arrival inspired lots of shuffling which, in turn, set up some new display opportunities. 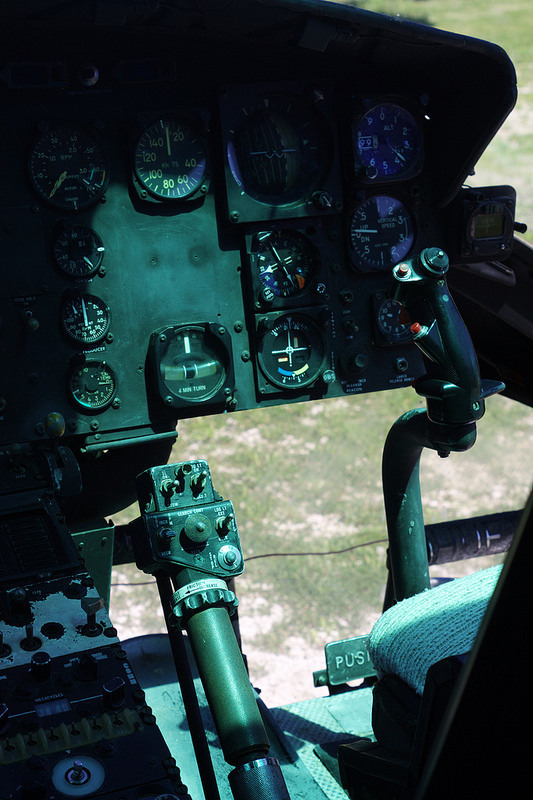 Researching the Liberal Army Airfield is a passion of Chris' (as a personal note: I think of it as restoring knowledge lost during a time when the Mid-America Air Museum was coasting. While our WWII-era heritage is not the end-all of our history, we do identify the establishment of the Liberal Army Airfield as the start of our museum). When told that one of the remaining warehouses across from the museum is slated for demolition, he took the opportunity to record the structure before it was lost (the other surviving warehouse is privately owned but this one is city owned). A small museum outside of Chicago, Chris wanted to visit the Air Classics Museum on our way back to Liberal. It had a fun collection of aircraft exhibit outside, including a Sabreliner, reconnaissance version of a Sabre, and Hueys you could climb into. Stairs allowed you to see into the cockpit of the Sabre, Corsair II, and Phantom, presumably facilitating open cockpit days as well. Theresa took these pictures while we visited the Field Museum. Our first stop was in the lobby, Sue's old location. She's been moved upstairs but Maximo the titanosaur was being assembled in her place. 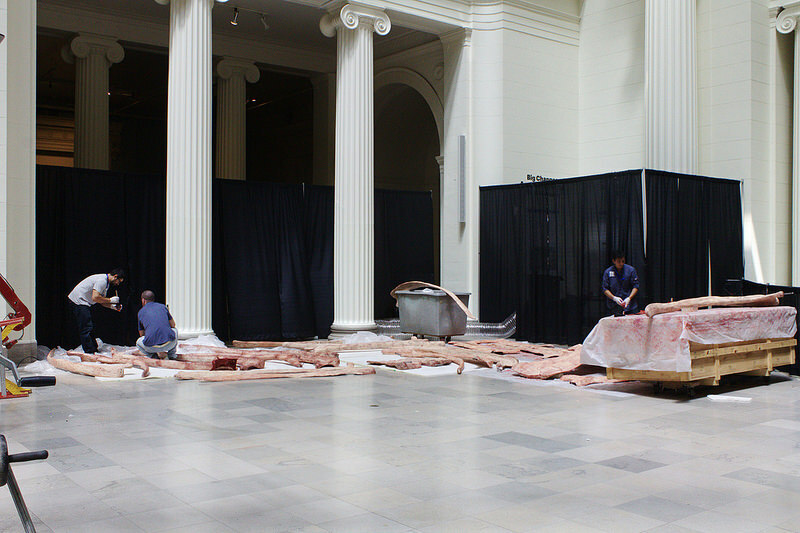 Being museum people, we naturally focused on the workers off to one side, working with the not-yet-assembled fossils. Given the Field Museum's age, it has collections that stretch back into periods when museum collecting was done to different standards, so they had on display an entire mastaba whuch had been removed from Egypt over 100 years ago. 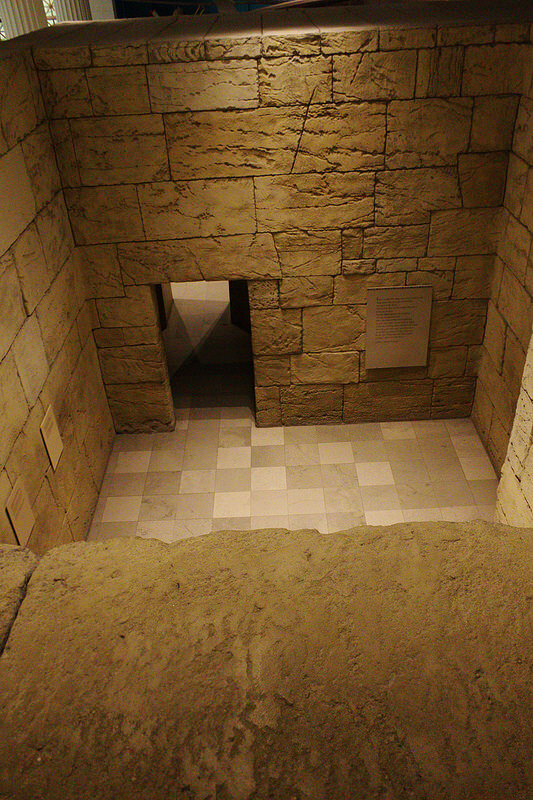 They acknowledged changing museum practices at one point when they marked a location which had been defaced by English tourists in the 1800s, adding a layer of history to the tomb which recorded and memorialized the visits but had been removed by early conservators during their restoration. Today such graffiti would have been preserved. We visited the taxidermy because this was the first natural history visit we'd been on since Chris read a book about the history of such museums' practices and trends. The dioramas were once a revolution in museum practice, taking natural history museums from library-like sanctuaries of learning to more open institutions. All of the taxidermy present was quite old, included a few species holotypes, but there was a new hyena diorama which had been crowdfunded--it utilized old specimens but built a new enclosure, painted a new background, etc. The museum was in an art deco structure that led to the great chandelier picture above that Theresa took. On driving to Hutchinson from Liberal, Chris had storms in front of him and a setting sun behind him. 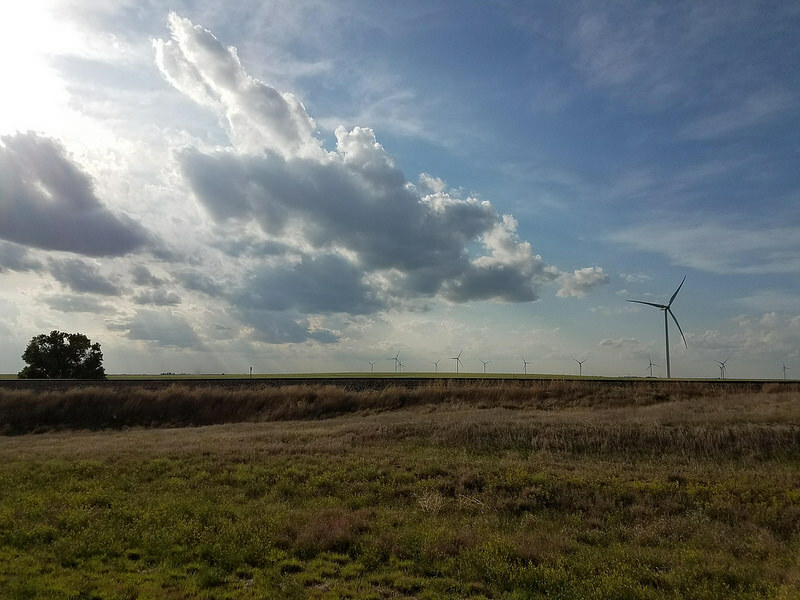 Combined with moisture in the air to create some rainbows and wind turbines, which he always finds picturesque, it made for some good picture-taking weather. In fact, he would have made his former 4-H photography leader proud as he ran around a field trying to get a rainbow in just the right spot. His only regret was that he didn't have the SLR and could only use his phone! Pictures from Theresa's visit to the Denver Museum of Nature & Science, with a traveling exhibit on Bioluminescence, Egyptian Mummies, the Dead Sea Scrolls (no pictures), and a cameo from a lamp at her parents' house. Suddenly this stripped down Embraer Brasilia showed up next to the Mid-America Air Museum/WWII hangar next door. At first Chris spied it from the road while Theresa was dropping him off, but later investigation involved an up close approach. There are actually three derelict airframes at the Liberal Municipal Airport. This one was about to be used for some fire training, which could be done so close to the historic hangar because there was nothing left to actually burn. Smoke generators/bombs were used in lieu of actual flames. The leftover oxygen masks dangling from the ceiling would have made the jet appropriate for a horror/apocalypse film. Also happening was some airplane cleaning and moving at the museum. In order to move our target aircraft, we had to move about 6 or 7 others to clear a path. This also cleared the area around 4 aircraft hanging from the ceiling and located near doors. 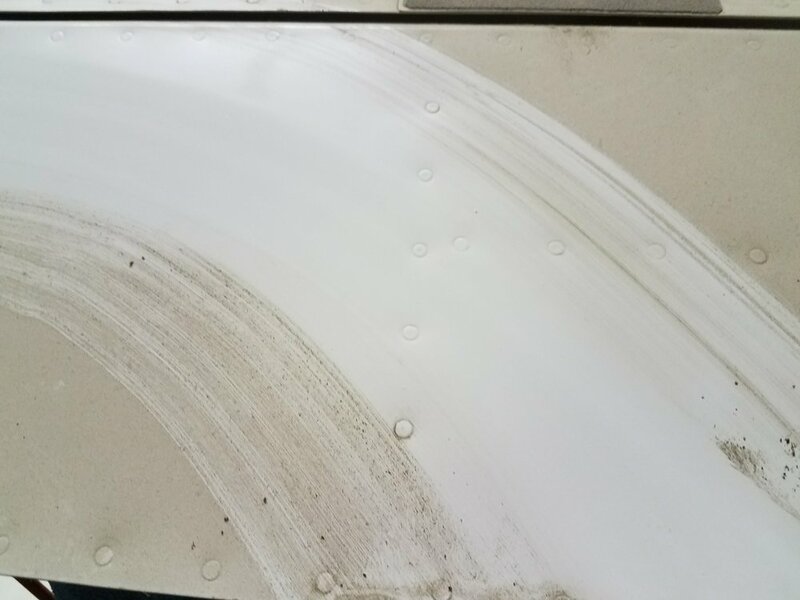 Their location means they're hard to clean but also are exposed to more dust than average because of the doors opening and closing. Theresa helped with this process, and even goofed off with the Thorp T-18. At work one day, a 1st grader told me that before coming to the Mid-America Air Museum, they got to touch stingrays. I asked "where?" and the response was the Baker Arts Center (an arts center local to Liberal). I just assumed they were conflating separate trips at first, but upon further investigation I discovered Baker was temporarily hosting a butterfly house and stingray tank. I've touched stingrays at other aquariums, but at the butterfly house, you could pay to feed the butterflies sugar water--an idea that fascinated me for some reason. So Theresa and I headed downtown one afternoon and took a swing through their enclosure. The butterflies were all Monarchs, but there were a lot of them on the flowers donated by the local Wal-Mart. As always, the Monarchs were quite regal looking. They were clearly used to people as they hardly stirred as we moved around, so I got some good views of them drinking nectar. No panorama from that trip, so instead here's a panorama of Theresa, a coworker, and I inside the massive "Production Line Maintenance" hangar next to the museum. In its heyday, it would hold three B-24 Liberators at a time. Theresa and I made a weekend out of shopping for her dress for a rehearsal dinner by driving down to Amarillo. It was an interesting trip, starting with the fact that the fastest way to Amarillo from Liberal feels like you drive southwest and than southeast. The drive back up was via a different route which was extremely scenic in parts (it's the route that goes through Pampa on the map to the side). In Amarillo we visited a coffee shop that was too hip for us (we stuck out), their mall to pick up Theresa's dress, and then drove out to the Palo Duro canyon. Palo Duro is the second largest canyon in the United States. From Chris' brief trip to the Grand Canyon, the vegetation looked pretty different, and the Palo Duro is clearly wider. There isn't a river comparable to the Colorado running through it, and the sides don't seems as violently formed as the Grand Canyon's do. Spanish Skirts (splaid outcroppings in bright colors) were visible at a couple of points, and the main loop through the park was well worth the drive. We want to return sometime having actually prepared to hike some of the trails! After our afternoon/evening at the canyon we left Amarillo the next morning, but not before geeking out and visiting the Texas Air and Space Museum. We had a fun tour escorted around by one of their volunteers (necessary as they share hangarspace with an aircraft maintenance shop and are required to by the airport). Besides their aircraft, they had some cool local ephemera, a surprising collection of engines from Titan II launch vehicles and some ambitious plans for the future. We had lunch at a little restaurant at the airport, but sadly, despite it being just next door, Chris didn't get to see any Ospreys or the V-280 Valor in flight. We finally made it to Garden City, to see the animals! Garden City has a great zoo, with a range of native and exotic animals. Our first experience was with a rhino which, true to the fence's warnings, tried to hit me with a...spray. Even then, some of our favorites were the otters (there's a picture of Theresa watching them perform up above) because of the species' personality. They clearly would wait until they had an audience and only then start playing. There was a somewhat-rare storm that morning, so the flamingos were spinning in circles filtering for microorganisms to eat in their standing water. 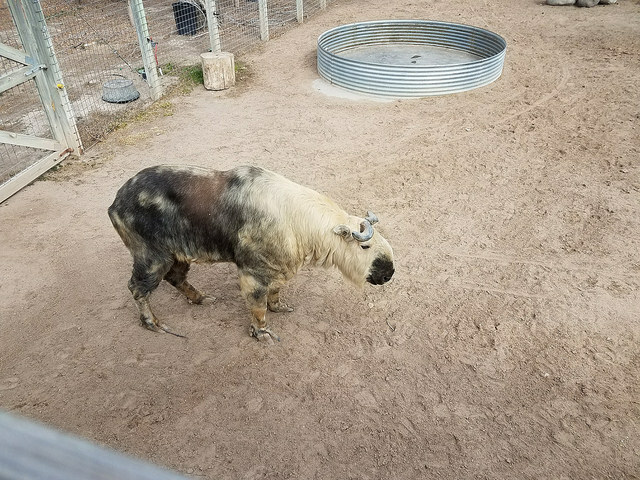 We discovered some new-to-us animals, too, like the takin pictured here. I'm convinced it looks like a pig from Star Wars, however, I think it's raised more like cattle in other parts of the world. The camera battery was low so the pictures taper off as we walked farther through the zoo. 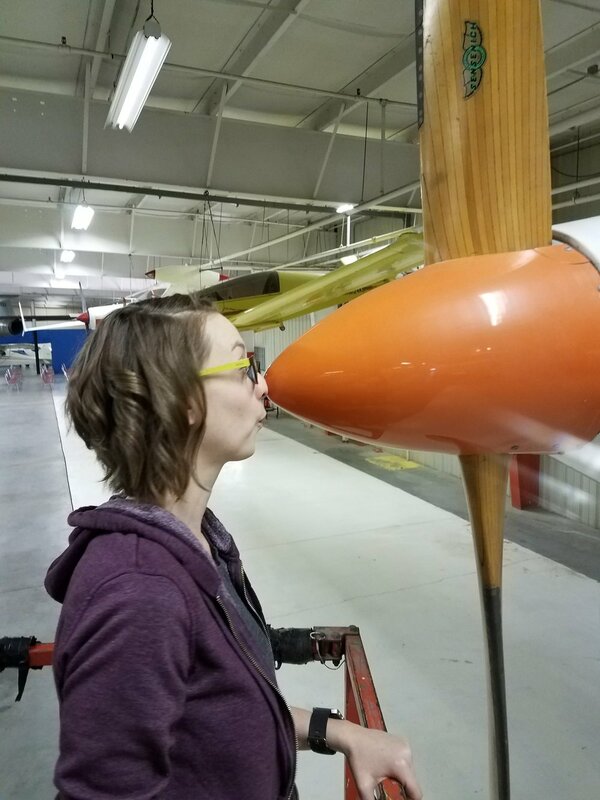 Theresa and I traveled to Liberal on Feb 28/Mar 1 to hunt for an apartment, participate in a meeting at the Mid-America Air Museum, complete some paperwork, and explore our soon-to-be new home. Immediately on checking into our hotel, we met a gentleman who chatted with us about Hutchinson's good qualities (he used to live there) and our plans. It turned out he was renting out an old carriage house! In a little bit of a culture shock to us, he simply gave us the keys and address and invited us to check it out. Unfortunately it was too small to fit our books and Theresa's piano, but it is the source of our first photo for this blog! The final goal of this trip was to complete some of the employment/HR requirements for my new job. As a City of Liberal employee, this included a drug-test. The address I had been given directed us to a random point in the middle of the street. We searched and searched, tried combinations of the address, then finally went to City Hall to ask someone. 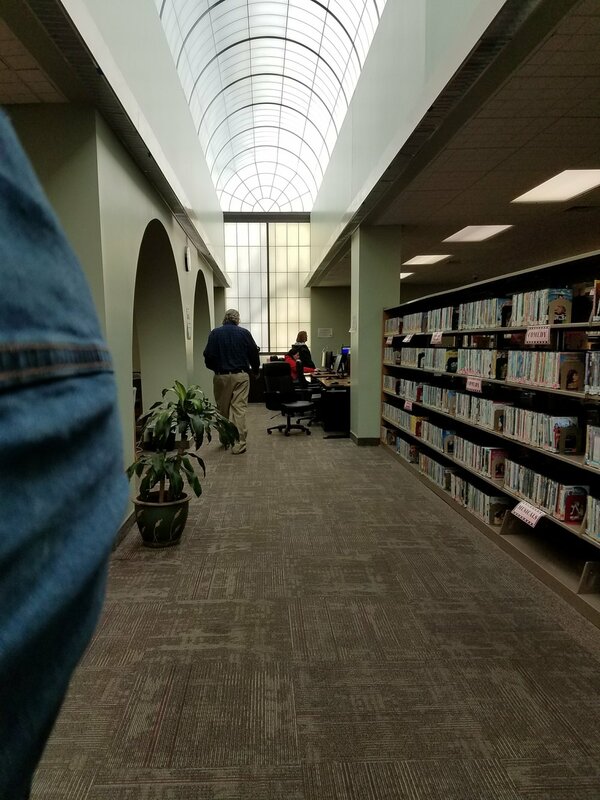 In another "small town" moment, a department head stopped what they were doing to walk us through how to get to the place—which was hidden in an odd location behind the old mall. In fact, the location was actually a trucking company that doubled as a "services" company doing drug tests for lots of different employers. It was a very unique experience.